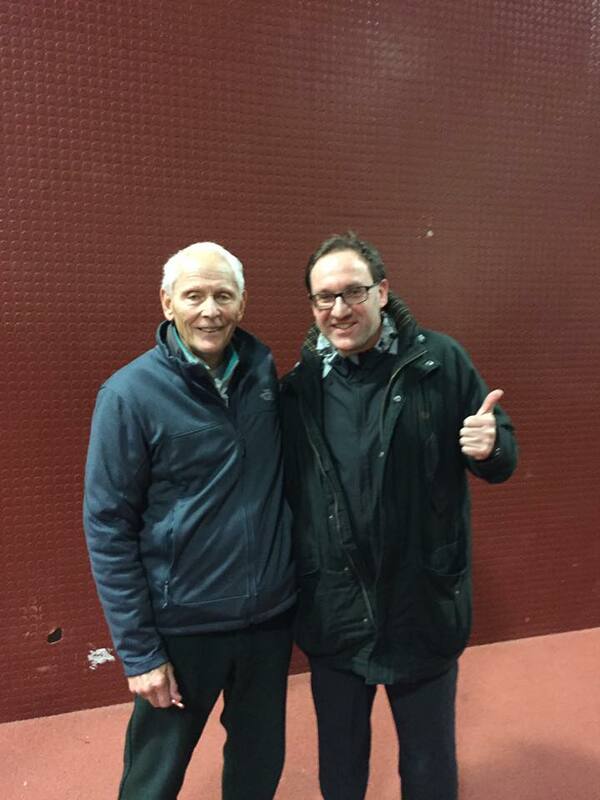 On Saturday, January 29th The Running Curve organised the 1st Coaching Seminar at the High-Performance Centre, Alexander Stadium in Birmingham with the legendary coach Dr Jack Daniels. Jack Daniels has been one of the most known endurance coaches. Before turning towards coaching, Daniels was a pentathlete competing in the 1956 Melbourne and 1960 Rome Olympics and an exercise physiologist. He has popularised his Daniels Running Formula, now available in the 3rd edition. When I started to take up running as a recreational runner, I was looking for a running book, which provided me with guidance on how I can develop and progress my running further. Fellow self-coached runners recommended me the Daniels’ Running Formula. Back in 2004, Daniels’ Running Formula (2nd Edition) was the first running book I owned. While still new to the sport, at the time, it gave me an introduction to endurance training and training methods. In 2011, I met Jack Daniels at the European Endurance Conference in Heathrow, London. At the conference, Daniels presented on the subjects training for the marathon and foundations of training. He closed the conference with a reflection on his coaching career and what makes a great coach. Throughout all his presentations, a systematic, science-based approach to coaching endurance athletes is omnipresent. Starting out from testing leading American endurance athletes for the Mexico Olympics, Daniels’ method has developed over the years. His method based on the VDOT concept is accessible to runners at all ability levels. Daniels’ Running Formula is now available in the 3rd edition. The book is a ‘method’ rather than ‘experience-based’ book on running training. Daniels’ Running Formula is suitable for runners at all ability levels from 800m to the marathon. Daniels, an exercise physiologist by trade, developed a method, which allows runners to train at intensities suitable to their ability level. We have seen before when beginners push too hard when high ability athletes run too many easy miles or train too hard. Daniels’ Running Formula guides runners and coaches with a training method based on the VDOT notation. Important to understand is Jack’s philosophy on coaching. While he adopted scientific principles to his coaching approach, he is open and shares his method, though individuals must decide themselves and apply. Also, he has coached beginners and Olympians. As a coach, rather than boosting some medals his athletes has won, he enjoys the journey and relations with his athletes the most, which spurs him on. Certainly, something which resonates well with me. Daniels spend a lot of time observing top US distance runners and conducted tests in the lab in preparation of the 1968 Mexico City Olympics. Amongst other experiments he measured the consumed oxygen while running at different training paces. He recorded his findings by measuring VO2Max of runners in the lab and on the track at different speeds. VO2Max stands for the maximum amount of oxygen measured in ml per kilogram body weight. Typically, running 12 minutes in a lab environment at a fast pace would determine the athletes VO2max. For some elite athletes, this can be close to 5km pace, for recreational runners more 3km pace. However, some very efficient runners perform better in a lab compared to a race, and some perform better in a competitive race instead of running on the treadmill in the lab. Daniels wanted to come up with a comparable measure for fitness based on a recent race results. Daniels’ experimented by correlating running speeds (velocity) with oxygen uptake (VO2). The faster the running speed, the more oxygen turnover and supply to muscle is required to produce energy. Next, Daniels’ correlated performances achieved in competition over various durations as a fraction of the maximum oxygen uptake. The VDOT value can then be used to determine training paces for Easy, Threshold, Interval and Repetition paces as a % of the VDOT value. Depending on competing during a season, VDOT can increase and decrease and training paces need to be adjusted accordingly. When reading the book or attending the coaching clinic, it can be difficult to understand underpinning coaching philosophy and how all the disparate parts of his approach to coaching hang together. Initially, Daniels shared his beliefs and understanding of developing athletes. This is a personal account based on his own school experience, athletes he coached and tested, plus other coaching experiences. Daniels adheres to 16 laws of running, which are complemented by 8 training principles. In addition, to the laws and principles are Daniels own enriched concepts. The heart of Daniels approach to coaching is the VDOT concept. The VDOT concept dictates training intensities. Training intensities based on weighting can be scored and assist coaches and athletes when designing plans. 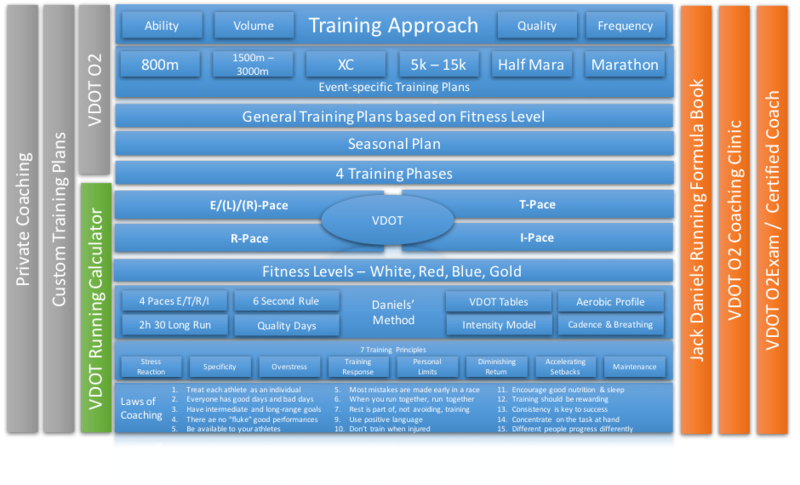 His seasonal planning approach is phased, while training cycle can be based on a colour coded generic schedule to boost general fitness and can be complemented by an event specific programme. The event specific training can have variants based on ability, volume, quality and frequency. The coaching system covers a lot of bases and needs to a large ability of runners. On the following evening, a track session was organised at the Coventry Godiva’s track in Coventry. Unfortunately, I could not join the rest of the group in Coventry. Instead, I did the session on the roads by myself. Prior to the session, training paces per Daniels’ Running Formula were prescribed and communicated via the VDOTO2 mobile application. The paces based on my VDOT of 41.2. The VDOTO2 app mixed paces in minutes per miles and minutes per kilometres. This requires conversion of paces for those not used to min / mile or min / km. In preparation for the session, the session was set up as Garmin workout and downloaded onto the Garmin 620. The VDOT app integrated with Garmin Connect and enables the coach to the result of the actual workout. Using the workout function on Garmin allows a better comparison of the session. During the 15’ warm-up I reminded myself of what Easy (E) pace involves. It’s conversational pace at a 4:4 breathing pattern, i.e. for every 4 steps during breahing in, breath out every 4 steps. The training route was slightly undulating, which meant I had to work harder in some of the uphill sections and my breathing pattern progressed from 4:4 to a 3:3. Initially, during the mile repetitions, threshold pace was too fast and it took half the duration of the first repetition to settle back into the right pace. A lot of energy went into checking the pace. The second mile repetition was slightly faster. Following on the 800m. The same applied to the shorter intervals, while not too demanding, it took a while to settle back into the pace. The pace equated approx. 2:2 breathing. Finally, the 200m repetitions at mile pace felt hard while tired. Proceeded to a slow cool down. Despite the undulating terrain, the actual T-pace was slightly faster than planned. On a flat route or track, T-pace would have been faster within the range of 7’35’’ – 7’40’’ min/mile. This would suggest, present fitness is slightly higher than the initial VDOT value of 41.2. Block 2 felt harder compared to Block 1. The breathing pattern changed from 3:3 to 2:2. average actual I-pace matched the planned I-pace. However, it required effort, the first 30 seconds to settle into the required pace on an undulating route. Switching from a set distance to a time-based format worked well. Considering planned and actual I-paces were aligned, the proposed VDOT intensity felt right. It felt good to get the legs turning and push hard while breathing a 1:1 rhythm. Intensity wise it felt pushing towards 100% VO2Max intensity, especially on the 3rd and 4th repetition. On average, the actual splits were tad faster than planned. Overall the session was a over 12km. The session felt good, all muscle groups were engaged. Overall, the session felt good. The planned E and I paces were aligned to the actual paces. In a more controlled environment, treadmill or track faster times could have been achieved. The results suggest a higher intensity for T and R paces. The coaching seminar was the first coaching seminar dedicated to Daniels’ Running Formula in the UK. However, Daniels have been to the UK before as a guest speaker for the European Endurance Conference in 2011. The content is available on UK Athletics’ uCoach Portal. While well-presented, reinforcing key concepts and relevant, the material (keynote, coaching philosophy and marathon training) presented at the conference five years ago was the same material presented at the coaching clinic. Conference and coaching clinic presentations stay closely aligned with the material in the 2nd and 3rd edition of the book. Daniels sticks to his guns and does not vary, extend or align with the latest research in the field. The coaching clinic at the High-Performance Centre in Birmingham consisted of three sessions. The first session provided an introduction into the core components of the Daniels Running Formula. Daniels explains how he ended up with his coaching method. Thanks to his vast experience, Daniels managed to explain concepts from the field of exercise physiology in simple terms to runners and coaches. The second session was a practical session on breathing technique and stride count at the Alexander Stadium. The final session was focussing on the marathon. Throughout his long career, Daniels has worked and tested many athletes and teams. It would have been nice to look at some specific data of one of the athletes and apply his coaching technique in context. Daniels worked amongst others with Joan Benoit Samuelson, Jim Ryun and Ryan Halls. Going through some schedules of these athletes and highlighting Daniels coaching concepts would have helped to close the gap between theory and practice. From a beginner’s perspective, starting out from reading the book and when not too familiar with exercise physiology it is challenging to get to grips with all the scientific measures, what they mean, how the various research findings stack up and how Daniels arrived at his running formula. Daniels clarified his approach and context in the clinic, but the book could follow a more applied approach. For example, looking at athletes specific measures and test results, show example training plans, set them into context within a season and what outcomes have been achieved, would help aspiring runners and coaches a more practical perspective how Daniels’ formula can be applied and what decisions need to be made to develop an athlete. The Run S.M.A.R.T. Project is the online running and coaching portal based on Daniels’ Running Formula. The website consists of a VDOT calculator and an online training calendar. Training schedules can be purchased separately. Coaches can purchase a subscription for $20, which allow them to design training schedules online and share them with invited athletes for free. The online service can generate a personalised training plan based on the athlete’s most recent VDOT. The athlete can then compare the planned sessions with the actual training data from the GPS watch. The website displays the session and training data, though cannot correlate the planned with the actual session and do further analysis. However, Run S.M.A.R.T. project said further analytics would be likely introduced in a couple of months’ time. The online service is well thought through, though lacks marketing and adoption so that more users sharing their training experiences and providing feedback. The book has been sold many times, has been translated into different languages and is now available in the 3rd edition. Run S.M.A.R.T. engages each contact independently regardless through which channel a potential customer was acquired. For example, those who own already a copy of the book should be able to receive a further discount from the Run S.M.A.R.T. website. The training plans available in the book should be made available to those who own a copy of the book that they can start experimenting with the training schedules. Further, those who went further and attended the coaching clinic and owned the book, should be given a further discount and be encouraged to take the exam. While working through the book, the reader will notice the absence of some running related topics. For example, guidance on nutrition in general and specifically for the marathon are missing. 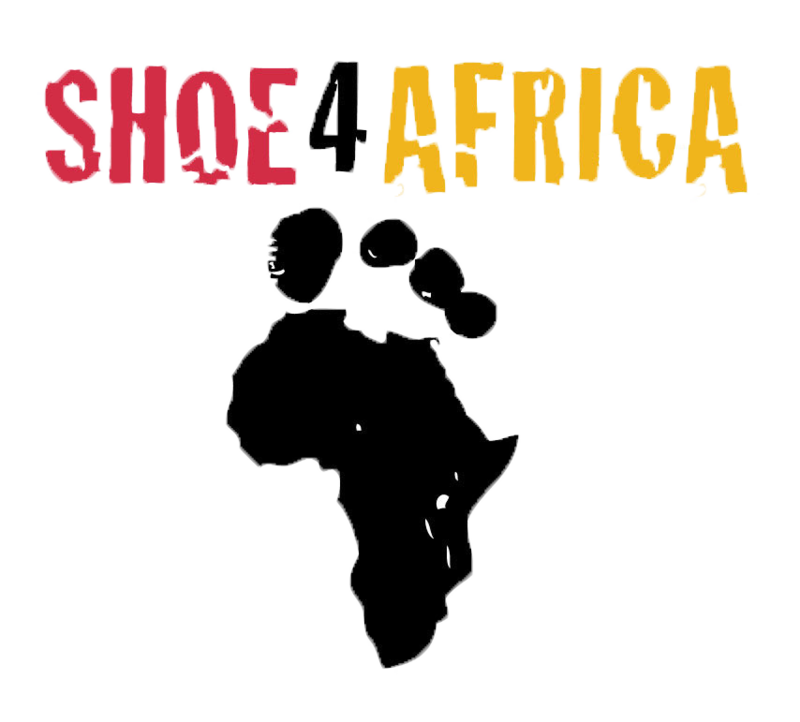 Another area is the training for children and collegiate athletes. Daniels’ has coached within the collegiate system and has experience in coaching young athletes, though there is a lack of guidance on physiological and psychological considerations when coaching young athletes. The reader would have to assume that the same VDOT principles and plans apply for young as well as senior athletes. For those who are looking for an inspirational type of running book, Daniels’ Running Formula is not that book. The book is suitable for the practitioner, who wants to experiment with the training plans, perhaps adjust them based on their reflections. The danger of a more formulaic approach is that runners will mechanistically execute a plan. Some of the sessions are quite complicated to remember, especially when running at three different paces. Daniels is less dogmatic about his training plans, and Daniels wants to guide runners who are less versed in designing their training schedules. The Run S.M.A.R.T. 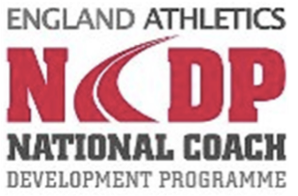 Project offers certification for becoming a Certified Distance Running Coach following Daniels’ VDOT Methodology. The VDOT O2 Distance Coaching Certification Exam is subject to answering 80% of the 80 questions successfully via an online self-assessment tool. The certification assures the understanding of training principles, training paces, VO2max and VDOT and altitude. To pass the exam, reading the Daniels’ Running Formula book is a must, review the slide deck and watch the 1 ½ hour video presentation. The self-assessment takes approx. 90 minutes to complete. Having a certificate is a nice thing to have, given the time runners and coaches work with the book and training plans. Rather than offering the exam separately with a 15% discount and 1 month free subscription for the VDOT Coach mobile app, it would be a nice gesture to provide those having taken part in a coaching clinic the exam certification optionally. Dr Jack Daniels’ approach to running provides a solid foundation in endurance running for recreational as well as club standard runners. In the absence of any structured training, many club runners can benefit from reading ‘Daniels’ Running Formula’, especially when it learning more about training intensity and seasonal planning. The coaching seminar complements the book, tells Daniels’ coaching journey and gives an insight into Daniels’ scientific mind. The centre of Daniels coaching method is the VDOT concept, which informs training paces, types, phases and plans. Daniels’ Running Formula is a very useful running book, which gives an insight into training methods for distance runners. What matters are the training principles, rather than the training plans. Ultimately, based on the principles, the reader should be able to apply the rules to design their training plan. RunUrban coaches endurance runners of all levels and abilities to optimise their training and guide them to reach their running goals by providing personalised, well-balanced, structured, progressive, training schedules and expert advise. Why hire a Running Coach? Coach Urban is a qualified UKA Level 3 (Endurance Performance) athletics coach focusing on developing endurance athletes at Battersea Park, Millennium Arena. He is part of the England Athletics National Coaching Development Programme.